TwinStar’s new branch stands out in Hazel Dell. 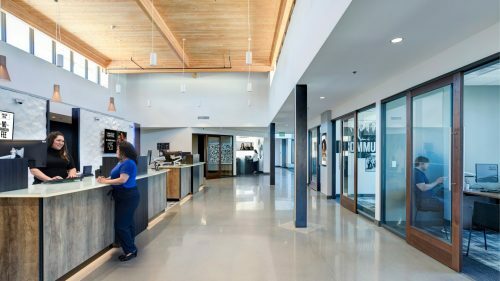 Designed by Momentum to serve the urban, tech-savvy demographic, the branch forgoes teller lines or even teller pods in favor of a tool bench that supports more casual, informal interaction. 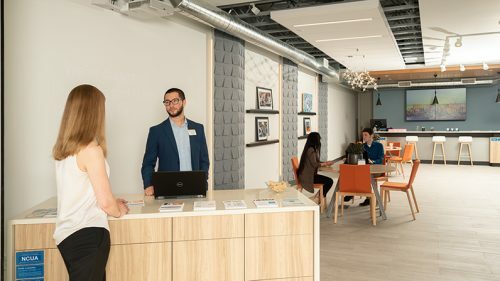 And for the members who haven’t tried mobile banking yet, a tech bar provides a welcoming setting for staff to teach members how to access TwinStar’s services on their own devices. 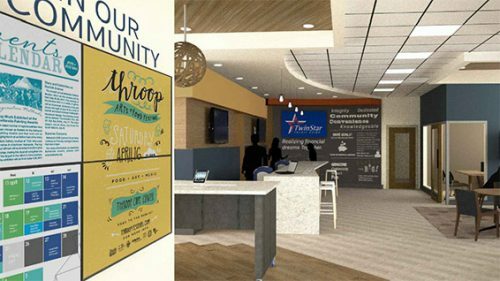 Check out the article on The Columbian’s website to learn more about how TwinStar’s new branch is evolving to meet members needs!